Support MMH Hope and Learn! Overcoming nearly insurmountable disabilities, as well as personal tragedies that would derail the lives of many people, Pakisa Tshimika has experienced a life that has both inspired and been inspired by countless others along the way. 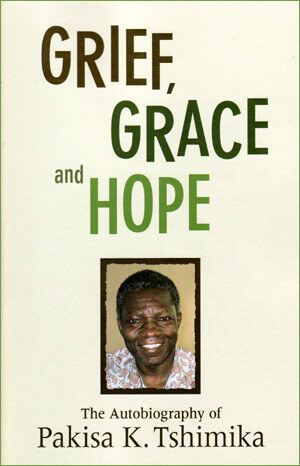 Through his autobiography, readers will discover an unfailing grace and hope. In July 1976, Pakisa Tshimika’s fast track through life came to a crashing, paralyzing halt in a car accident on an Oregon interstate. “You will never walk again,” he was told. But in that same instant, another journey began, one that has made of Pakisa a gift from God to the global church and the world beyond. Pakisa Tshimika’s story is one of exile and return, to family and home. It takes on biblical proportion, accompanied tragedy, death, and loss, and yet in the end, faith and hope. Dr. Dalton Reimer, emeritus professor at Fresno (California) Pacific University. Pakisa is a master of the global church community. He transcends boundaries political, socio-economic, religious, ethnic, and personal. This autobiography will make you want to get up in the morning and ask what you can do to bring light in the world in the next 24 hours. The reader of this memoir is immersed in a baptism of losses which take the breath away. And yet, we are invited to receive these difficult passages as vehicles of grace.